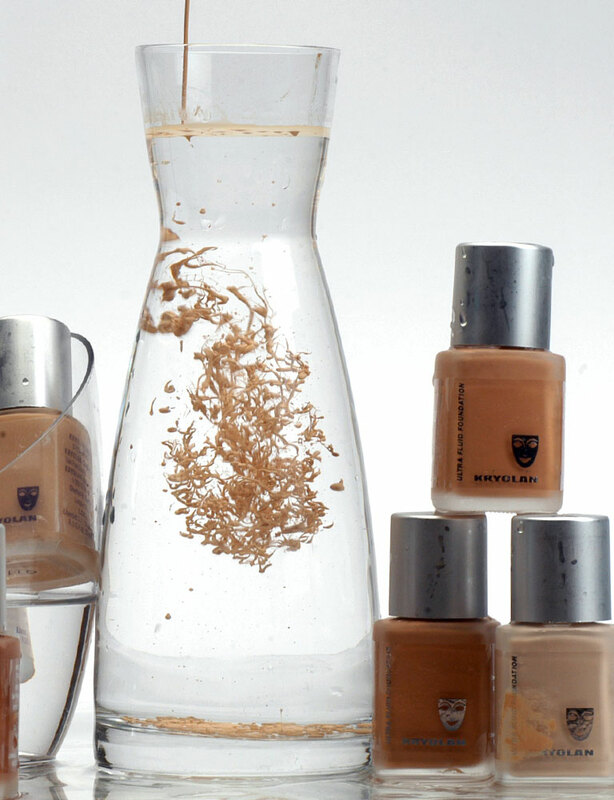 KRYOLANS professional range of foundations come in many forms – for all your differing needs there is a high coverage camouflage system called DERMA colour, to hide and cover skin imperfections. This is very user friendly for a smooth texture and even coverage for everyday use. The ultra foundation comes in a cream stick, cream pot or liquid form to suit each person and their individual needs. It has active ingredients and is free of mineral oil. This smoothing liquid foundation comes in 30ml size, and is designed to give an even coverage without appearing too heavy. This cream stick foundation is the perfect product for make-up on the run. It comes in a wind-up tube so, no mess no fuss! Perfect for touchups with good coverage. This foundation is a cream formula with excellent cover performance and is designed as a light corrective make-up. You dictate your coverage- for a light sheer finish it can be applied with a damp latex sponge. It is an advanced camouflage system, with inner-mixable shades to create your perfect match. It has a brilliant staying power and can be used in conjunction with the fixing spray, leaving it smearproof, waterproof and durable! The premade mini-shade tester palettes come in a range of colours for light, mid and dark skin tones.